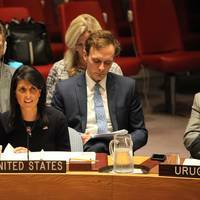 "We are ramping up the pressure on the North Korean regime, and we're going to use every tool at our disposal, including working with our allies and through the U.N., to increase the pressure until North Korea reverses course," U.S. Ambassador to the United Nations Nikki Haley said in a statement. 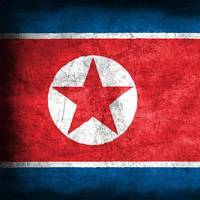 The move coincides with the United States imposing its largest package of unilateral sanctions against North Korea on Friday, intensifying pressure on Pyongyang to give up its nuclear weapons and missile programmes. The U.N.
U.S. President Donald Trump on Thursday said he was "very disappointed that China is allowing oil to go into North Korea" and that such moves would prevent "a friendly solution" to the crisis over Pyongyang's nuclear program. 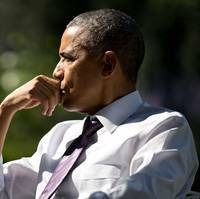 "Caught RED HANDED - very disappointed that China is allowing oil to go into North Korea. There will never be a friendly solution to the North Korea problem if this continues to happen!" Trump wrote in a post on Twitter. China earlier on Thursday said there had been no U.N.
(Reuters) -- The U.N. Security Council on Friday unanimously imposed new sanctions on North Korea following its latest intercontinental ballistic missile test, a move that analysts said could have a significant impact on the isolated country's struggling economy. 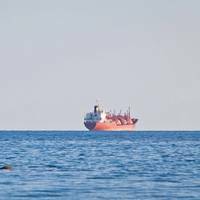 The resolution seeks to ban nearly 90 percent of refined petroleum product exports to North Korea by capping them at 500,000 barrels a year and demands the repatriation of North Koreans working abroad within 12 months. 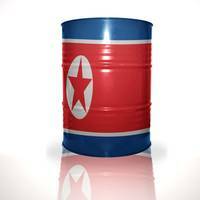 The U.S.-drafted resolution would also cap crude oil supplies to North Korea at 4 million barrels a year. The United States has proposed that the United Nations Security Council blacklist 10 ships for transporting banned items from North Korea, according to documents seen by Reuters on Tuesday. 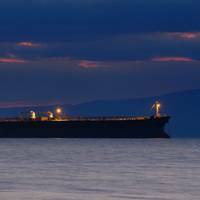 The vessels are accused of "conducting illegal ship-to-ship transfers of refined petroleum products to North Korean vessels or illegally transporting North Korean coal to other countries for exports," the United States said in its proposal. If none of the 15 members of the Security Council's North Korea sanctions committee object to the ships being designated by Thursday afternoon, the U.S.
At least one person was killed and another was missing on Friday after an oil barge being pulled by a tug boat caught fire and exploded in the Gulf of Mexico off Texas, officials said. The barge was carrying some 133,000 barrels of crude oil to a refinery in Corpus Christi when the explosion occurred at 4:30 a.m., they said. The dead person had not yet been identified and the fire was allowed to burn itself out before being extinguished, said Rick Adams, Emergency Management Coordinator for the City of Port Aransas. 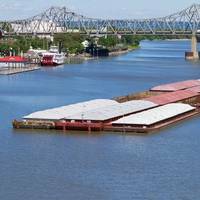 The Ohio River was closed to commercial navigation on Monday near Brookport, Illinois, after a hydraulic system used to open and close lock gates at lock and dam 53 failed, the Waterways Council said. 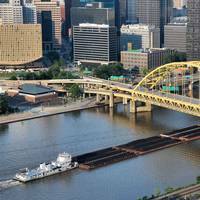 A queue of more than 65 towboats was waiting to pass through the area on Monday morning, the group said in a news release. The closure was the latest headache for shippers scrambling to haul newly harvested soybeans from Midwest farms to export terminals along the Gulf Coast. U.S. 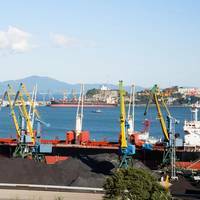 Severe winter weather has slowed rail deliveries of crops to shippers in the U.S. Pacific Northwest, sending freight rates soaring and prompting Asian buyers to seek fill-in loads as they wait for the backlog at ports to clear. Blizzards, avalanches and heavy rain in recent weeks have hit transport of corn, soy and wheat to ports where they head for the lucrative Asian market, adding to the struggles that have plagued U.S. exporters since harvest. The setbacks come at a critical time for U.S. exporters, who are trying to move as much grain as possible before buyers turn their attention to South America when corn and soybean harvests in Argentina and Brazil accelerate in the coming weeks. The U.S. investigation into the deadly sinking of a cargo ship during a 2015 hurricane entered its final hearing on Monday, with ship conditions probed at the start of two weeks of testimony set to examine new detail on El Faro's last hours. 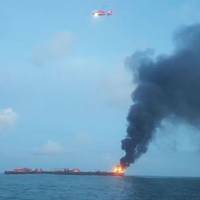 The Coast Guard's Marine Board of Investigation, convened only for the most serious accidents, is looking for evidence of negligence or misconduct in the worst disaster involving a U.S.-flagged vessel in more than three decades. All 33 crew onboard died when the 790-foot (241-meter) El Faro sank during a hurricane on Oct.
A Chinese warship has seized an underwater drone deployed by a U.S. oceanographic vessel in the South China Sea, triggering a formal diplomatic protest and a demand for its return, U.S. officials told Reuters on Friday. The drone was taken on Dec. 15, the first seizure of its kind in recent memory, about 50 nautical miles northwest of Subic Bay off the Philippines just as the USNS Bowditch was about to retrieve the unmanned underwater vehicle (UUV), officials said. "The UUV was lawfully conducting a military survey in the waters of the South China Sea," one official said, speaking on condition of anonymity. "It's a sovereign immune vessel, clearly marked in English not to be removed from the water - that it was U.S. property," the official said. Vietnam is extending a runway on an island it claims in the South China Sea in apparent response to China's building of military facilities on artificial islands in the region, a U.S. think tank reported on Thursday. Satellite images taken this month showed Vietnam had lengthened its runway on Spratly Island from less than 2,500 feet (760 meters) to more than 3,300 feet (1 km), Washington's Asia Maritime Transparency Initiative said. AMTI, a project of the Center for Strategic and International Studies think tank, said continued reclamation work would likely mean the runway was extended to more than 4,000 feet (1.2 km). It said the upgraded runway would be able to accommodate maritime surveillance aircraft and transport planes, as well as combat aircraft. 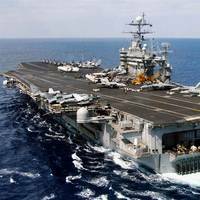 The U.S. Navy released black-and-white video on Saturday it said was taken by an American helicopter showing an Iranian Revolutionary Guards vessel firing unguided rockets on Dec. 26 near warships including the aircraft carrier USS Harry S Truman in the Strait of Hormuz. Iran on Dec. 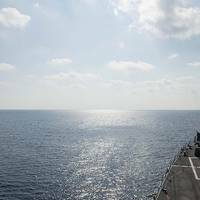 The U.S. Navy said the infrared radar footage showed an Iranian "fast inshore attack craft" launching several rockets on Dec. 26 "in close proximity" to the Truman, the guided missile destroyer USS Bulkeley, the French naval frigate FS Provence and commercial ships in the busy waterway. A judge in Brazil's state of Minas Gerais has frozen the Brazilian assets of mining giants BHP Billiton and Vale SA after determining their joint venture Samarco was unable to pay for damage caused by the bursting of a dam at its mine last month. In a ruling issued late on Friday, the judge ruled that Vale and BHP could be held responsible for the disaster at the iron ore mine in the state of Minas Gerais, for which the government is demanding 20 billion reais ($5 billion). Vale and BHP each told Reuters they had not yet been notified about the decision. The companies are able to appeal. The dam burst, which turned into Brazil's worst ever environmental disaster, killed 16 people, left hundreds homeless and polluted a river 800 km (500-miles) long that flows across two states. 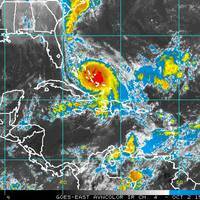 Wreckage believed to be of the cargo ship El Faro, which was lost in Hurricane Joaquin in a sinking that claimed the lives of its 33 crew members, was discovered on Saturday at a depth of 15,000 feet, U.S. officials said in a statement. A search team aboard the U.S. Naval Ship Apache discovered the wreckage using sonar equipment, the National Transportation Safety Board said in a statement. The statement said officials planned to send a deep ocean remotely operated vehicle to confirm the identity of the wreckage on Sunday. 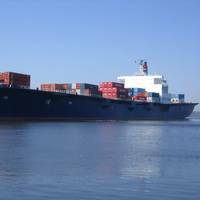 El Faro disappeared on Oct.